Think about the professional meetings you attend. Instead of yet another “same old, same old” boring information dump or empty motivational calories loaded with platitudes, what about a lively challenging alternative giving an overview of holistic improvement, Data Sanity, or the psychology of culture change? I guarantee you the audience won’t be bored. Statistics may be the most misunderstood aspect of improvement. It should actually permeate the everyday fabric of any organization serious about transforming to true excellence … but not in the way you might think. 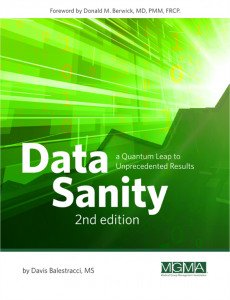 I will introduce the concept of “data sanity” through a lens of statistical thinking, and demonstrate – in a provocative, challenging, and humorous style — that the most common data analyses and displays are waste. I will present elegantly simple— and counterintuitive—alternatives that can create a common organizational language for deeper, more productive conversations about data issues. Recognize unproductive data analyses and displays. Use three simple statistical tools to create a common organizational language. Address destructive managerial actions that result from misunderstanding “trends,” “above average,” and “below average” to create time and priority for improvement. 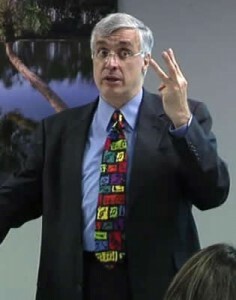 Utilize the power of a little known “common cause strategy” to solve a significant organizational problem immediately. Distinguish between the two types of variation and how to deal with them. Two simple statistical tools (and a supplied macro) to create a common organizational language for data issues. Most quality efforts have had disappointing results because of the overemphasis on “process,” “tools” and “data.” These are indeed the “engine” of quality, but just the tip of an underlying seven-layer organizational pyramid. Engines need the “fuel” provided by the remaining four levels – the underlying “human” processes that lurk to unintentionally sabotage your improvement efforts. It’s time for leaders need to go beyond “passionate lip service” about quality improvement to active involvement, integrating it into the organization’s daily fabric. I will describe a simple, practical model that applies both to individuals’ behaviors and tolerated organizational behaviors…and how “belief systems” drive subsequent results. Recognize the devastating cultural “victimitis virus” that must be dealt with via a simple technique that can be applied tomorrow. The goal: To keep quality professionals employable by showing them how to become “change agents”. Quality Improvement needs to be seen as a mind set, NOT a tool set. Given: People hate being changed…any change. Cultures have underlying belief systems deeply vested in maintaining current results. “Bolt-on” projects disturb this obsessively desired status quo. Are you ready to go beyond well-meaning but outdated notions based heavily and naively on tolls, projects, and copying examples? How do you develop a “built-in” quality culture? I will teach a basic cognitive therapy framework that will help in intuiting and understanding damaging cultural beliefs. Learn how to coach people to new ways of thinking to drive desired strategic results. This means changing yourself first…then seeing others’ resistance as “entertainment.” Work teams are encouraged to attend together.